Donga Mantung Community Radio, or DMCR for short reaches more than 50,000 people with a schedule of news, health, education, social affairs, cultural and music programmes. It broadcasts in 12 languages, providing details of vaccination programmes, free treatment centres and employment opportunities, as well as items such as births, deaths, council notices, and lost property. It hosts a hip-hop show for budding DJs and a programme covering women’s issues – “The people’s radio, your radio, our radio”, as the station’s jingle goes. 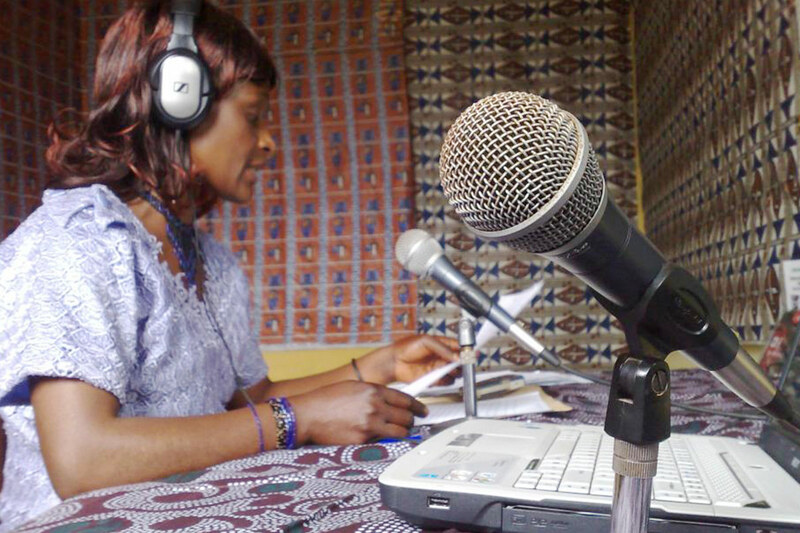 It was the first radio station in the Donga Mantung division in North West Cameroon. Before DMCR, there was no radio on the FM dial. DMC Radio is on the air! After two weeks of training and installation, RadioActive said goodbye to the team at Donga Mantung Community Radio, leaving behind an up and running 150 Watt radio station. 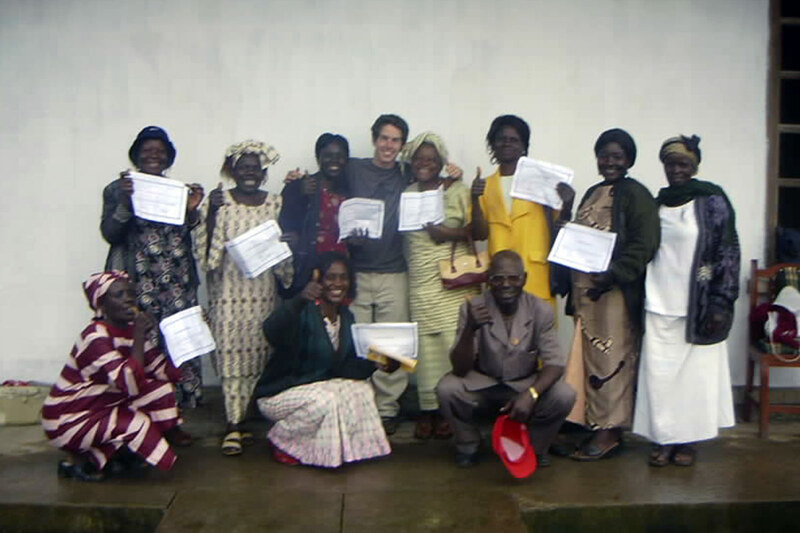 It was hard to leave the wonderful community of Nkambe! Donga Mantung Community Radio are now on the air, broadcasting daily from 7am til 10pm. 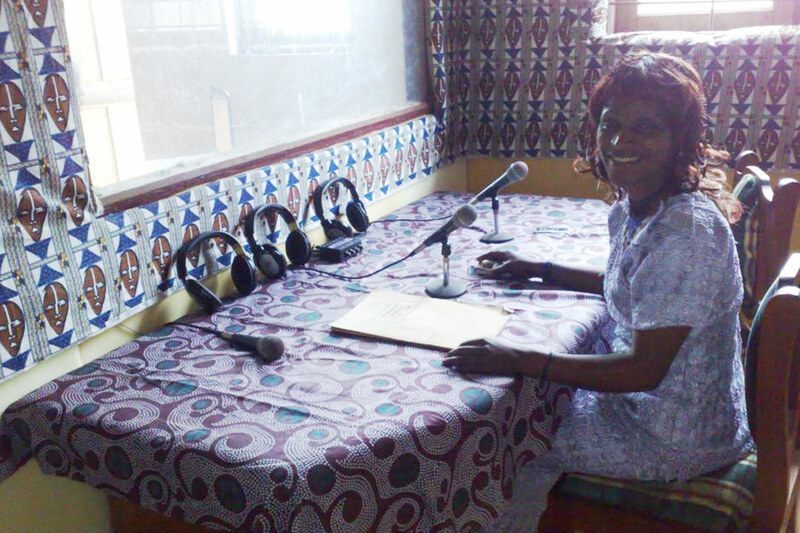 All members of the community are welcome to come in to the studios to make an announcement, sing a song on air, or send a greeting to a loved one in another village. We would like to thank everyone who took part in building the station. There is a long list, since so many members of the community took part: carpenters, electricians, construction workers, council workers, the glazier, the welder, the bulldozer driver, the nightwatchman, the list goes on. Then there were those who helped coordinate the project: the Deputy Mayor, the Secretary-General, the local MP for Nkambe, the journalist from Bamenda. In addition there were all the local technicians, keeping us on air while the training was going on. Without them the station would not be on air! In fact, everyone’s involvement was greatly appreciated. It was a very positive experience working with the people of Nkambe. 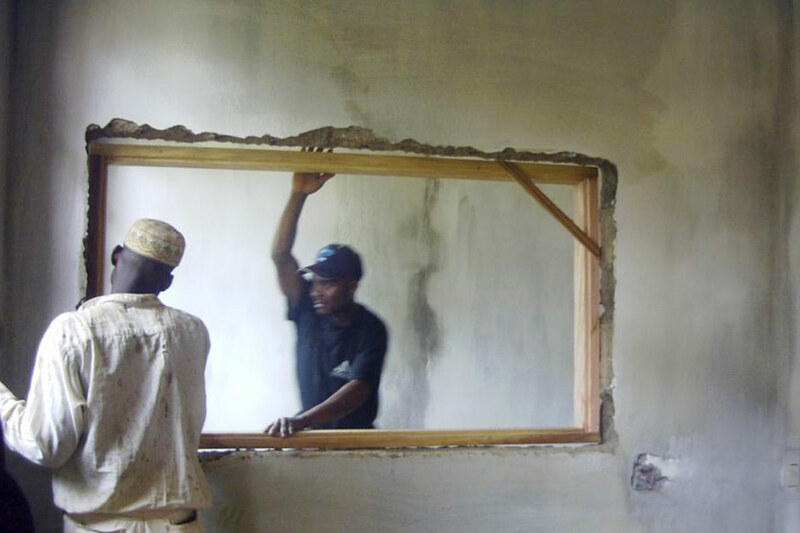 For a brief description of the project from a local community member, please visit: binju-nkambe.blogspot.com. Here’s a piece in The Guardian, by Rachel Stevenson on DMCR. 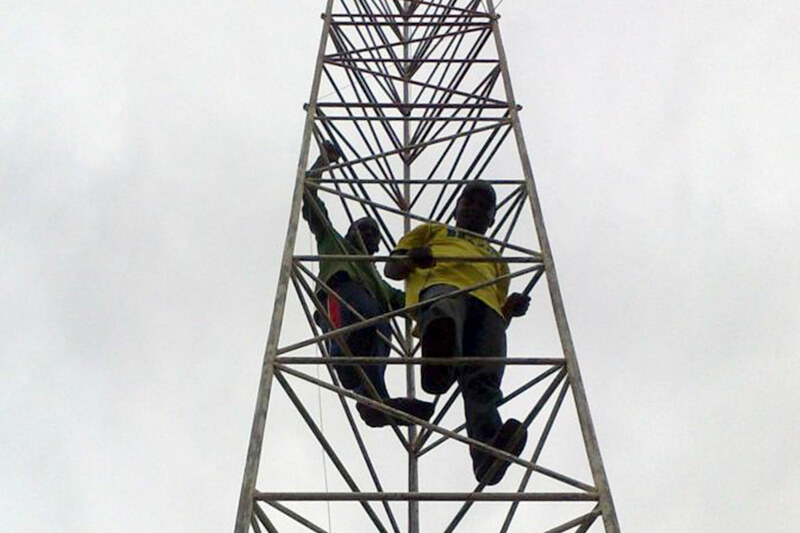 Special thanks goes to John Peter from Difotronics, who came to install the antenna tower. 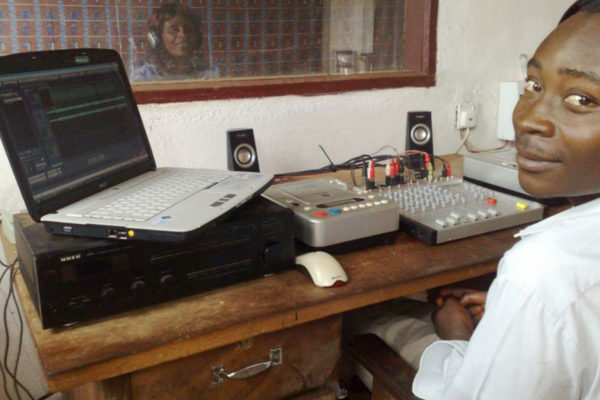 He runs a school in Bamenda, specialising in computer repair, audio and video production and transmission equipment installation. They do it all! Special thanks must also go to Debbie Winsten, a community media specialist from the US, who gave a week of superb community participation training to over 50 members of the Donga-Mantung community. 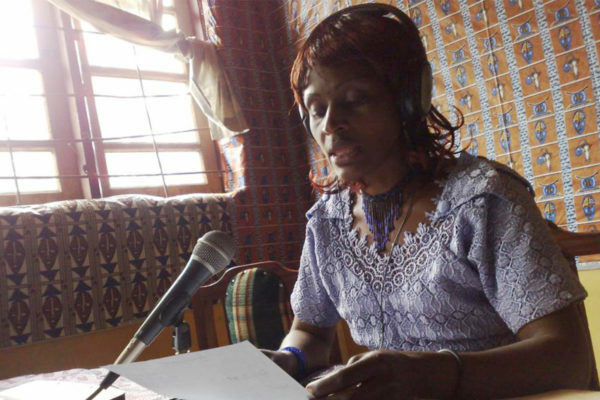 To contact her regarding her work, please email her at [email protected] She has worked as a trainer to encourage community participation in local media in many countries around the world. 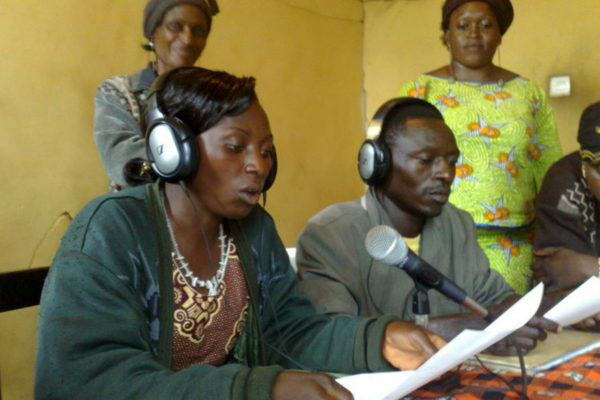 In Nkambe, an extensive village in the northwest province of Cameroon, the radio station Donga Matung Community Radio (DMCR) makes people happy. The call-in broadcasts are particularly popular. But as there are no landlines to the studio, Nkambe’s inhabitants call in on Disco Barber’s mobile phone. He switches the mobile to loudspeaker and holds it next to the microphone. That is how easy it is. Disco, as he is called by everyone, is delighted and smiles through the screen, which separates the recording studio from the technical department. This is where radio engineer Max Graef, 29, stands smiling back. “It is amusing/funny (or rather: unusual), but it works.” The voice of the person calling in wavers, swallowed by a lot of static from the small loudspeakers in the technical room. If you lower your expectations and increase the volume on your speakers, you will be able to understand. Listener Sali Shefu is on line and wishes to hear the song “Nobody wants to see us together” for her boyfriend Mabu Ernest’s aural and dance pleasure. Max Graef is the father of DMCR. Two years ago he arrived from London with an antenna and a transmitter, with microphones and amplifier and brought DMCR to live. 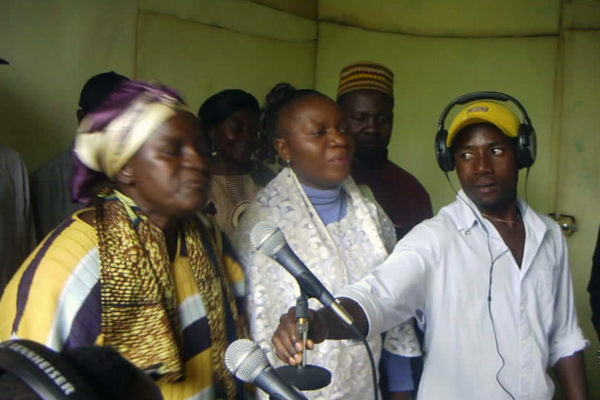 He connected Nkambe with the rest of Cameroon, and the world for that matter, as the news from the state radio CRTV is being amplified in such a way – by means of the new radio station – that one can receive them even from the smallest radio. Newspapers are hard to come by, despite a lot of people being literate, a newspaper vendor says that he only sells about 30 copies a week. No one can afford TV. And this is why in the era before DMCR one could only listen to the noise of corn crops swinging in the wind. Nkambe. It has to be imagined as one huge corn field, with a higher concentration of houses in the middle and a lower concentration to the outer sides of the field. One or two roads are tarmac, the rest made of red and very fertile mud. Draining water from rain floods has eaten deep channels and holes into the tracks. Now in August it rains a lot and the muddy tracks are as slippery as ice. And everywhere corn plants. Nkambe is not the first area cut off from news that was connected by Max. Through his company called Radio Active, based in London, he sells radio stations throughout the world. 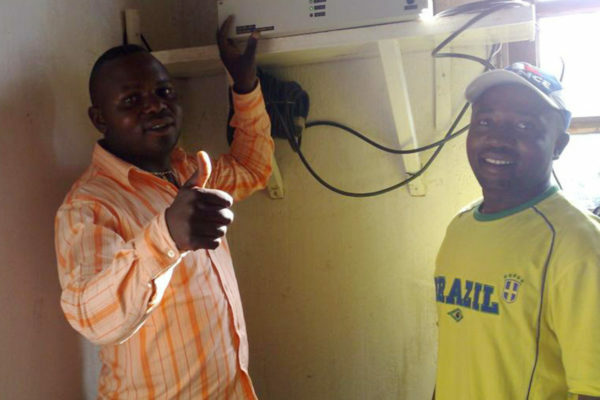 Amongst others they have installed stations in Honduras, Nepal, and Madagascar. To sell the stations and not to give them away is important to them. Not because of the profit, but because of the importance of the community really wanting their station. “When somebody pays for something, then he really wants it and he will take care of it”, he says. 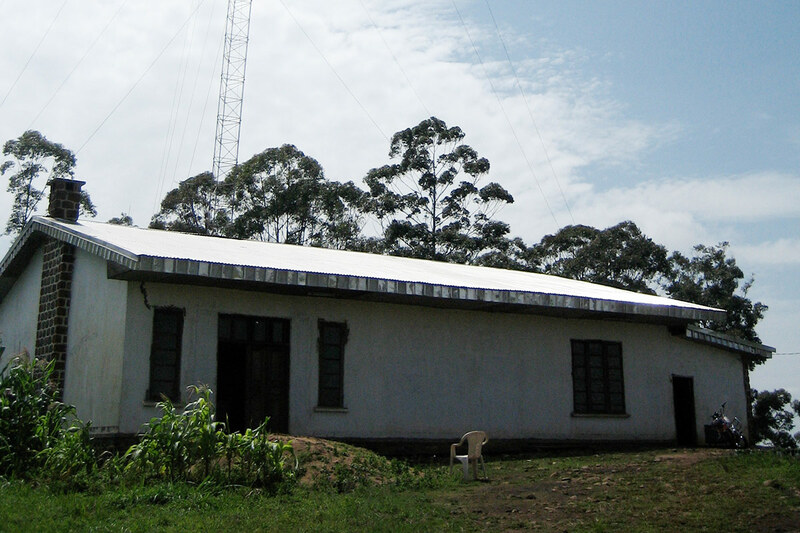 Often NGOs pay for stations without the actual receiving community having been asked or properly consulted. 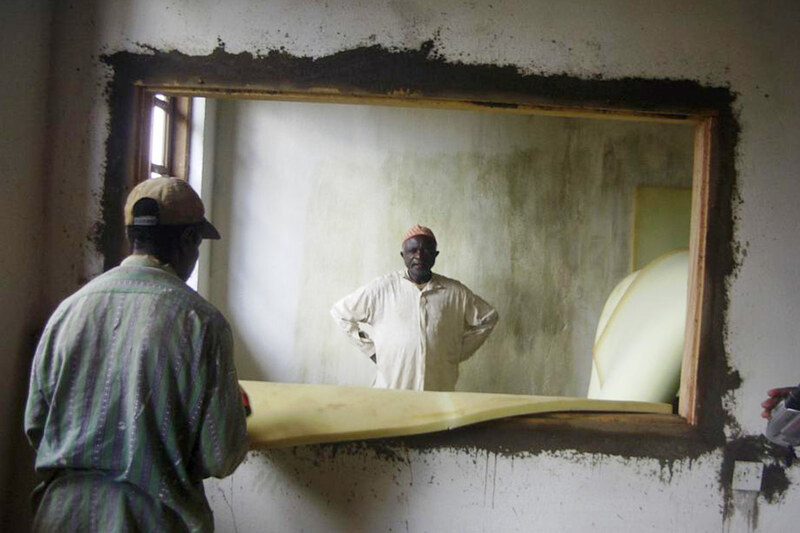 He is all the more happy to be back in Cameroon: “Nkambe is one of my favourite projects. The community raised the funds themselves and is to this day happy about every single minute they broadcast.” DMCR with its reach of roughly 50 km radius did not even cost 2,300 Euros. This time Max has brought along a minidisc recorder, a laptop, two new antennas and a new transmitter for the station. 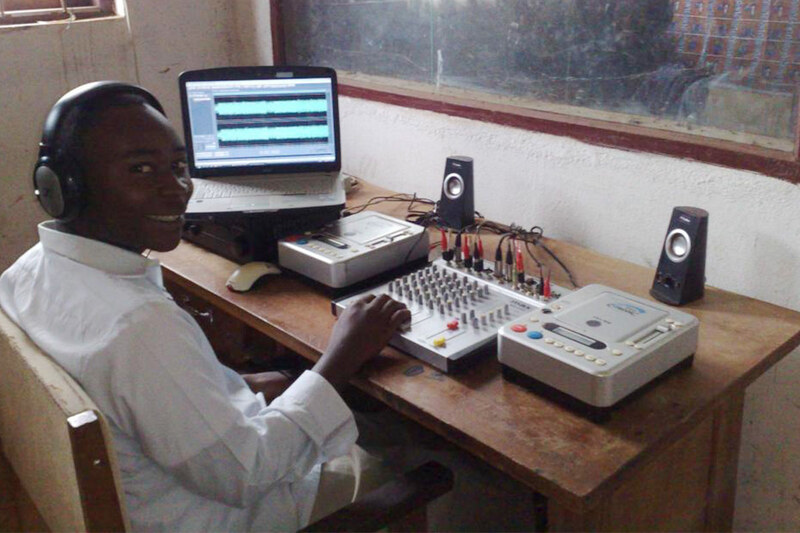 “This is a good opportunity to see what has become of DMCR in the last two years”, he says and looks towards the small table holding the radio station’s entire technical equipment – a mixer, two CD players, an amplifier and an old laptop. The tiny loudspeakers are as always turned up too loud, Nobody wants to see us together wavers. The mouse for the laptop is missing the right key, you can use the left one. The transmitter is sitting on a small shelf and is sending DMCR through the walls of the house to a 35 metre high antenna. It smells of sweat. When he installed everything two years ago, he used the little table as makeshift and drew a little diagram how to build everything. “I found the diagram” he says and waves a creased piece of paper out of a notebook. Nothing of this has been done. Due to lack of funds? Due to laziness? “No, it is just a different mentality” says Max. “The people concentrate on the now, on the moment, and are on damn good form!”. Only two thirds of the studio is insulated with foam, one of the windows is made up of two pieces of glass, numerous insects crawled in through the gap, their dead bodies spread all over the floor. The first impression seems to be that the radio is not all that important to the people from DMCR, but when it runs into problems, they will do anything for it. Not long ago the old transmitter gave up and the community went ahead to hire a new one for the extortionate amount of 1,000 Euros. 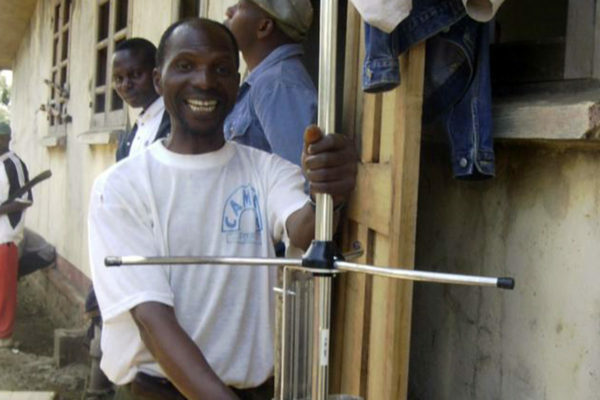 “They are able to raise that enormous amount of money to hire a transmitter, but not to organise a proper table”, says Max with a smile on his face, without making fun of them. Not only the mayor adores the curlyhead, the entire village does. During a walk along Nkambe’s main street, he meets an acquaintance. “Mister Max! Welcome!”, shouts Moses, an old man who helped installing DMCR two years ago. For a long time he shakes Max’s hand and nods friendly, but timid while doing so. After exchanging some warm words, Max plays football with Moses’ sons in their garden. “I listen to DMCR from dawn to dusk! Yesterday you were on air!” Moses beams. His favourite program? The announcements. Several times a day DMCR broadcasts the programme “announcements of special interest”. 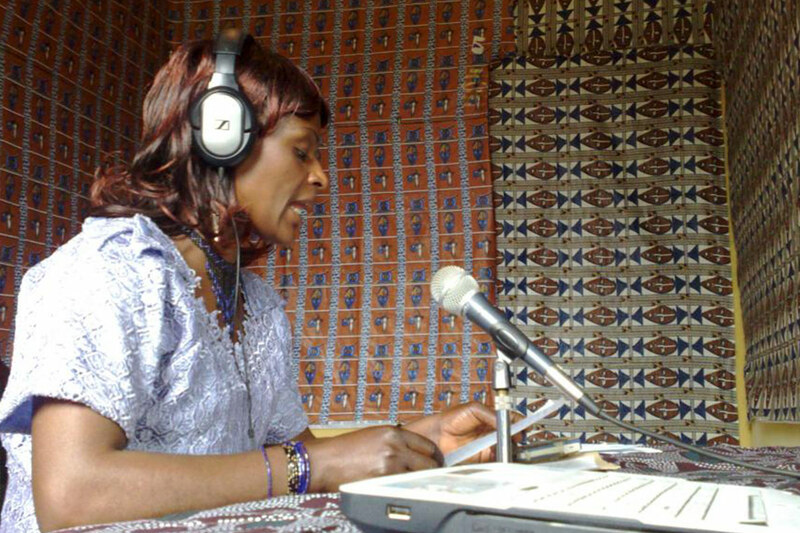 He who sends 100 Cameroon Francs, about 15 cents, to the radio together with a message, will be guaranteed broadcasting. “Fresh fish arrived. Available at the cold-store.”, it rattles through Moses’ radio. And death announcements. And where what celebration is held. DMCR even serves as a Lost and Found office, as ID cards and bike keys are regularly left and picked up from here. DMCR is open to everyone. Across the entrance hangs a piece of cardboard, which says: ”Use the radio, don’t stay away and complain!”. The waiting room is packed with men and women with children on their laps, patiently waiting for a long time to present their query at the receptionist’s desk. There, hidden behind high paper piles – all of them announcements – the desk is empty and won’t be occupied for some time. There is a little radio on the window ledge broadcasting DMCR. Next door down is the office of the boss. He is called “Manager” by everyone here. His friends though call him Disco. Disco Barber. The 28 year old, officially called Tamnjong Richard Ndi, has other jobs on the side – in his CD and tapes shop, he also has a barber chair. Disco is sitting at his desk swamped by papers reading an educational brochure on AIDS. In the old days he used to read out articles from the newspaper over the huge loudspeakers in front of his shop. Then the community had the idea to install DMCR and the mayor made Disco manager of the new station. Once upon a time he studied French, history and literature for two years. Qualification enough. More than two million people can receive DMCR, the station has a range of over 100 km. This is what Disco believes. He is also convinced that the antenna behind the house is 65 meters high. Max is standing in the corner of Disco’s office, working with the new antenna. He smiles. A closer look on the antenna mast shows that it is put together from 7 pieces each 5 meters long, making a total of 35 meters in height. And in the area around Nkambe – according to Lord Mayor – live 240 000 people. Interesting pieces of information, but not really relevant for Disco to manage DMCR. “Disco has a heart of gold”, says Max, “but he did not think to ask his technicians what they needed me to bring out.” Disco does not have a clue about the technical side. He ordered various machines from Max, and the technicians scratched their heads when they heard about his order. But it is not that big a problem, somehow DMCR will function and run. “It is not as efficient as at home, but with a bit of patience and tolerance, it should not be a problem”, says Max and is happy. Patience and tolerance yes, but initiative at times is still lacking. He asked for a meeting in Disco’s office together with the two trained technicians Fred and Deric and the assistant Manager Samba Kingsley. The mayors of the surrounding communities have offered twelve new employees, up to now they had only been seven. What a potential for DMCR! “Which tasks can these new employees take on?”, Max asks. Silence. Heads are bowed timidly. Max takes a step back and asks another question: “Could they perhaps do a survey in the communities on what people like and dislike about DMCR?”. The manager murmurs a “yes”, whilst his assistant Samba seems to be nodding off. “Or sell ads?” “Yes, okay,” says Disco. Max says, “I am missing a little bit of enthusiasm, Samba!” And Samba smiles tiredly. After this little lecture, it is Max who gathers and greets the new employees. The manager stays in his office. Only the mayor, Lord Mayor, won’t miss out on making it very clear to the latest intake who they have to listen to – and puts emphasis on his words by hammering the table with his fists. “You will respect the manager, and the manager respects me!” After this lesson in hierarchy, Mister Max teaches a basic lesson on how to sell ads. 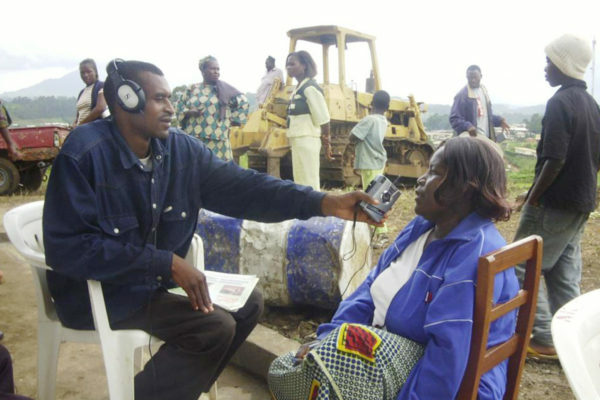 He appears like a prophet, who brought the radio to Nkambe. Two years ago, the Fon – the highest spiritual leader of the village – chose him to be the Ta Nformi, a position that hardly anyone else holds apart from Lord Mayor. Max acts as a catalyser: for two years DMCR has been broadcasting from this building without toilets, drinking water or a bed for the people who do the night shift. But after he told Lord Mayor that perhaps the studio should be fully insulated with foam, the Mayor personally carried in three rolls of foam to the studio the next day. Max comes from a different world. A world in which people mainly worry about themselves. When during his schooling, at the age of about 18, Max was playing drum ‘n’ bass, hip-hop and reggae at so-called squat parties in London, he wondered what he was going to do with his life. He liked the idea of bringing people together and giving them a good time by providing them with music, so he studied acoustic design. During his year in the industry as part of his degree, at Kirkegaard Associates in Chicago, he ended up living in a housing co-op with a group of social activists. “There I learnt what it meant to not just talk, but to act”, he remembers. It was 2003, the beginning of the Iraq war, and there were clearly problems in the world that needed to be addressed. “Acoustic design alone won’t change the world.” Then one of his friends in Chicago asked him whether he would like to join him to start a community radio station in Honduras. This is where Max Graef woke up on the 26th of July 2003 at 5 o’clock in the morning. 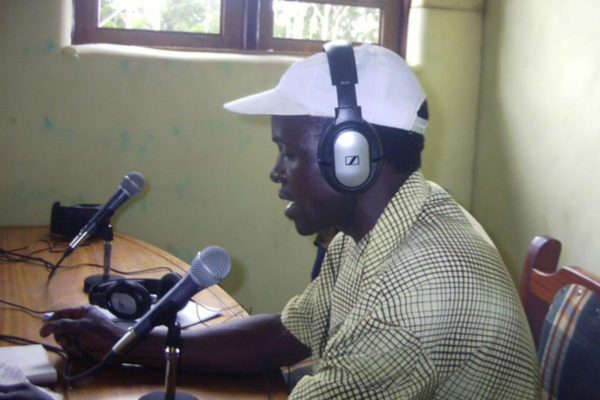 It was his birthday and he was about to embark on setting up a radio station working with landless farmers, who had occupied abandoned land and were starting a new community there. “This is the new beginning for me!”, Max thought at that moment. After starting and working on radio projects with Chicago-based group Radios Populares for two years, Max returned to England and founded RadioActive. Today, whilst Max is working on a new strategy on how to sell ads with the new employees, Disco is sitting in the local bar with his football team called Keepfit after their game. Here it is the beer that runs/flows, there it is the radio that runs. There is a Moslem in the studio talking about the advantages of his religion – sitting in the same spot where yesterday a Baptist praised the Lord. 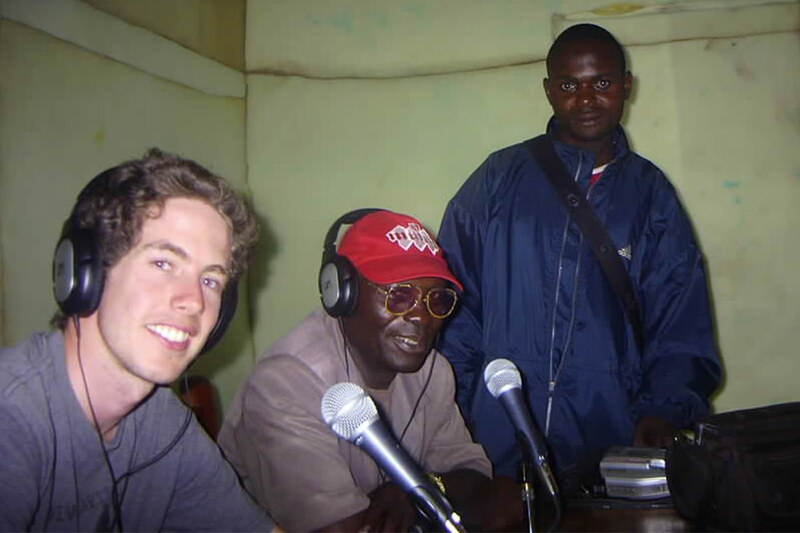 All of the religions and languages in the region are represented on the radio. Every Friday there is about half an hour “Muslim Meditation in Fulfude”, one of the 15 different languages that are spoken here. On top of those are French, English, Pidgeon English and Limbum, the language of the large Wimbum tribe. 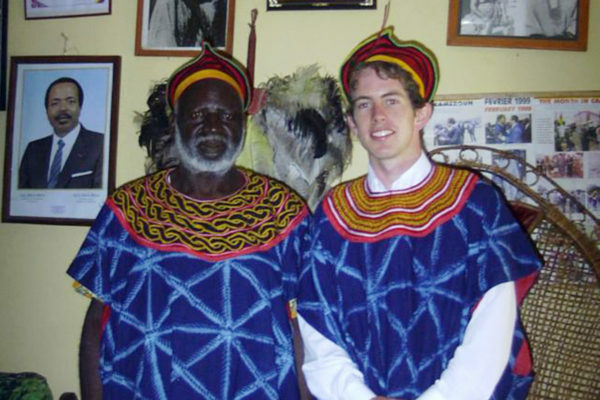 Never mind whether you speak Yamba, Mbembe or Fonte, everyone feels connected through DMCR to the rest of the world. And when suddenly there is only static to be heard from all the numerous radios on the streets and in the houses because the transmitter went down? “Then the community feels very bad”, says the old man Moses. “Then Nkambe falls into a coma”, says Lord Mayor. “Then everybody is very sad”, says Disco Barber. And then there will be action and a new transmitter will be hired for an enormous amount of money. As long as DMCR continues to transmit. Although the table is too small for the equipment, and the recording studio could do with more foam for insulation, and perhaps the computer mouse could be exchanged, or one could teach the manager some management, all of the above would not change what is most important here: that DMCR reaches the people and at the end of the day plays the National Anthem of Cameroon. Thanks to Nana Grosse-Woodley for her translation of the article. Providing all of the equipment, technical support and training to get DMCR on the air. Continuing to send equipment and trainers, since its launch in 2006.